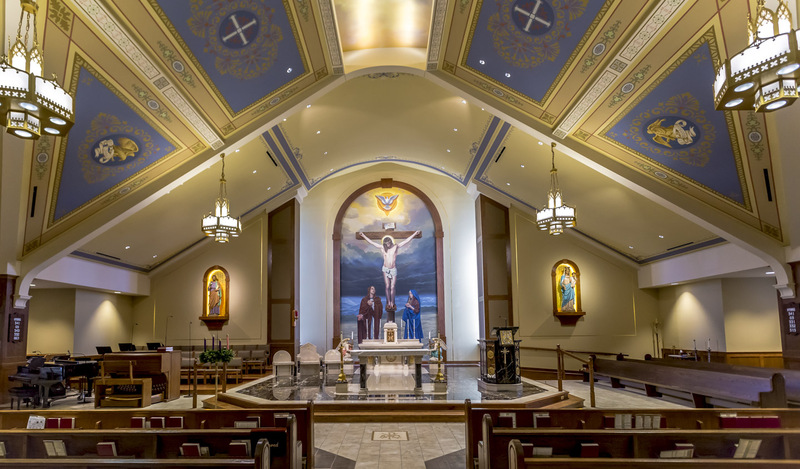 The growing parish of St. John the Apostle aspired to create a more beautiful and welcoming environment for worship and celebration. 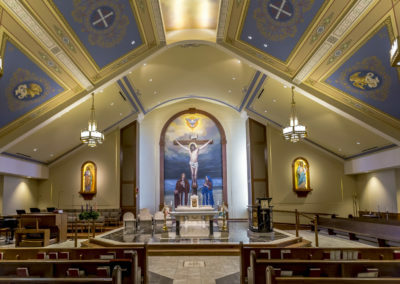 When CSS first visited the church, the space was in transition and lacked a completed feeling of holiness and inspiration. 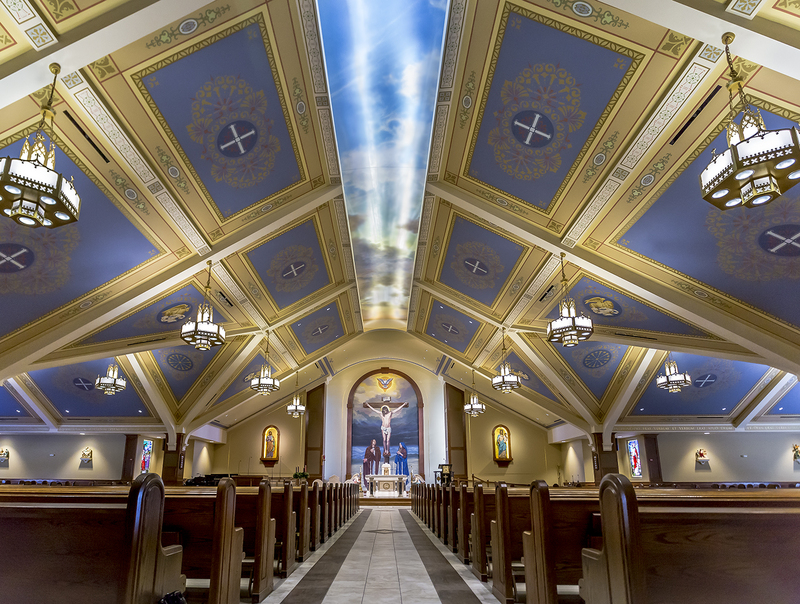 The existing conditions included a ceiling with exposed ductwork and suspended task lighting. After meeting with the pastor and committee, a rendering was developed to illustrate the intended vision. The rendering assisted in generating the enthusiasm and financial support needed to transform the plan into reality. 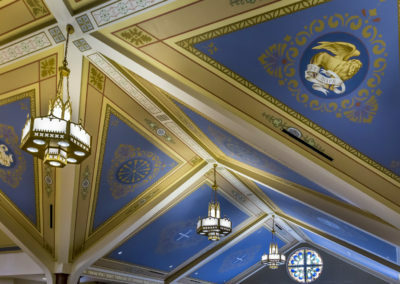 In the revitalized space, a palette of warm gold and cream tones with blue accents harmonizes with the existing woodwork and symbolizes the transition from earthly life to the Heavenly Jerusalem. 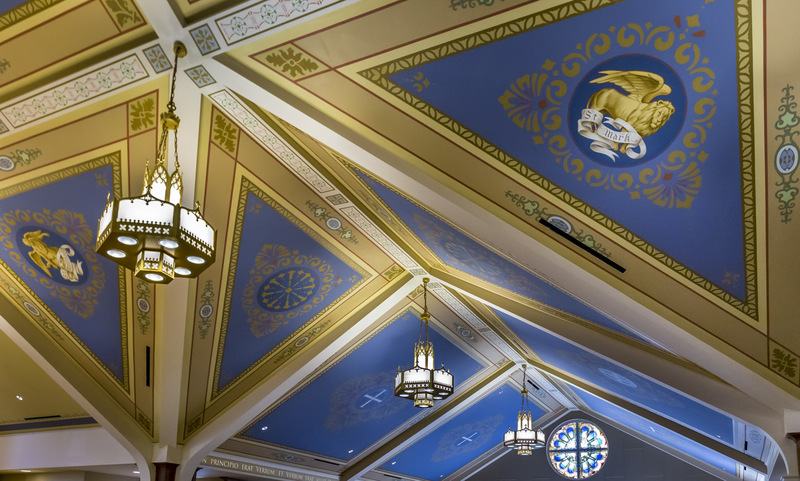 A paneled stencil design embellishes the ceiling. 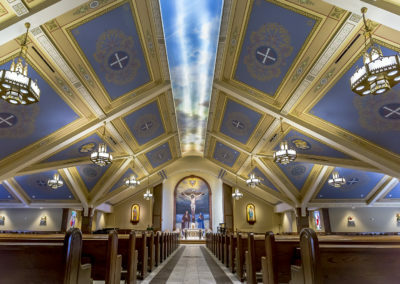 Extensive construction time was required before any decoration could be applied. As a result, plans were made to execute stenciled panels in the studio to be installed on-site after construction was completed. 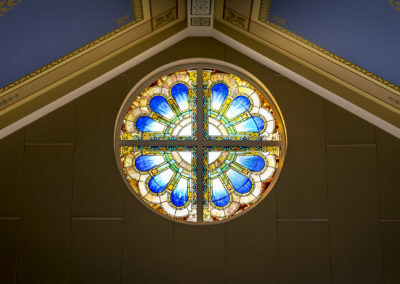 Doing so expedited the project schedule, allowing the church to reopen as soon as possible. 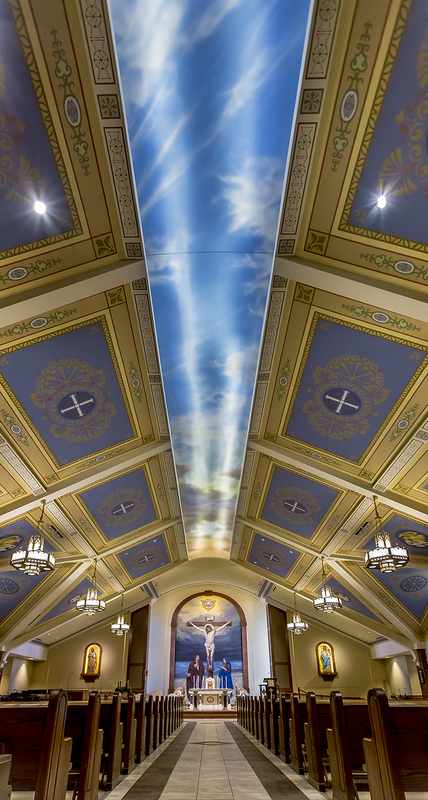 One of the highlights of the new design is the large, central ceiling mural that appears to offer a magnificent glimpse into heaven. An existing sanctuary mural was modified to accommodate the new, taller dimensions and adjusted imagery. 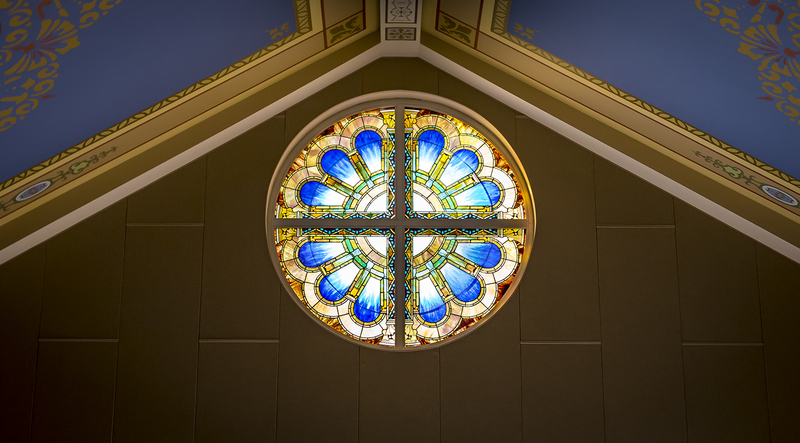 To further enhance the worship environment, Tiffany-inspired stained glass windows were created to replace the existing clear windows. 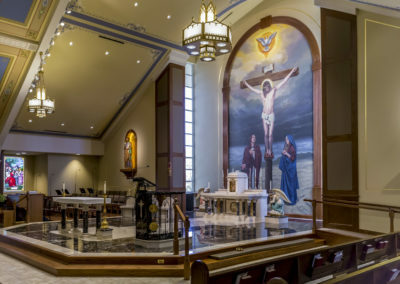 Other components of the renovated worship space include new marble sanctuary furnishings, new flooring, and enhanced sound and lighting systems.